Size: approx. 10 mm. Photo: 07/10/12, 10 pm. 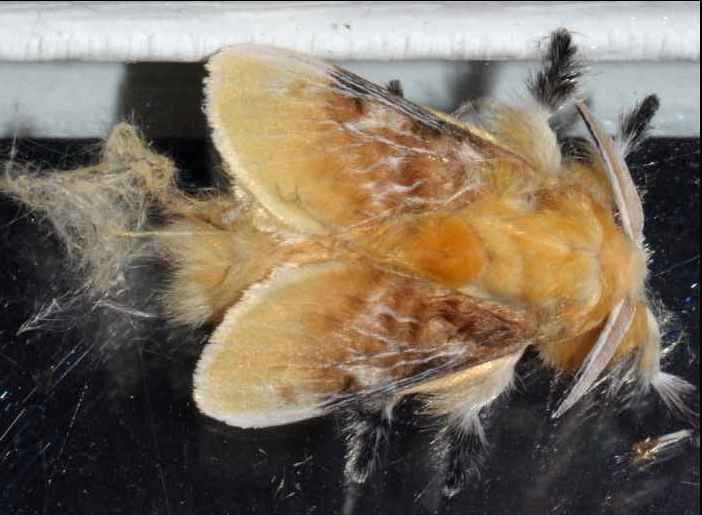 The Southern Flannel Moth (Megalopyge opercularis) is a common sight in Florida and the Southeast. Its caterpillars are called "Puss Caterpillars" and are known to have a painful sting. Males have feathery antennae and stronger markings than females of this species. 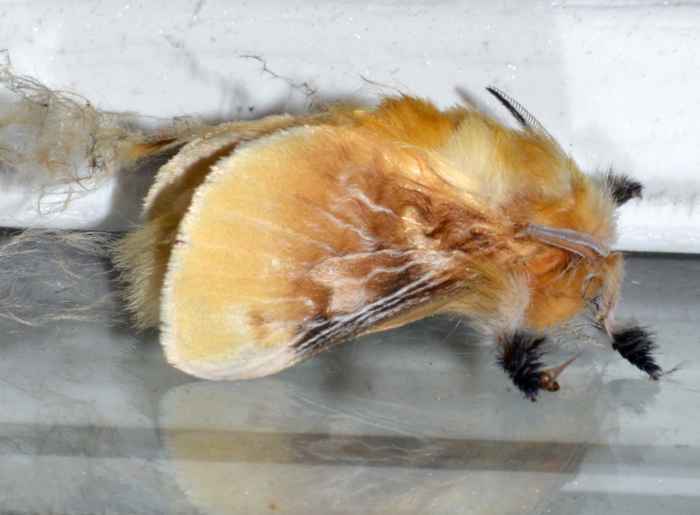 This suggests that this specimen is a male.